Well, we made it. Today is the last day of Sale-abration. Have you gotten everything you hoped to? If not, you still have time to place one more order today to get those goodies. And you have until tonight to sign up to be a demonstrator and take advantage of the two extra stamp sets for FREE. Today’s project is one that I’ve been working on for the last couple weeks. And I finished it just in time for the end of Sale-abaration. Whew! First, let me state that this is going to be a long post with lots of pictures. I know I don’t usually do posts quite this length, but I really want you to be able to make this at home. I ended up with two of the Pretty Pocket Card sets. I assembled the first set just as it was designed and they turned out cute. But after they were all assembled, I came up with the idea to make them into a mini scrapbook album. Start by assembling all your pockets except for gluing the bottom flap. Leave the bottom flap open. Trim the point off the bottom flap so you get a squared bottom flap. You’ll end up with a squared off tab instead of the pointy tab. Adhere the pockets, back to back. I used my tear & tape to glue them together. If you need more room for pictures, only glue the bottom flaps back to back and not the entire pocket. Cut two cover pieces 4.25”x 6″. The spine is 4.25″x1.25″. 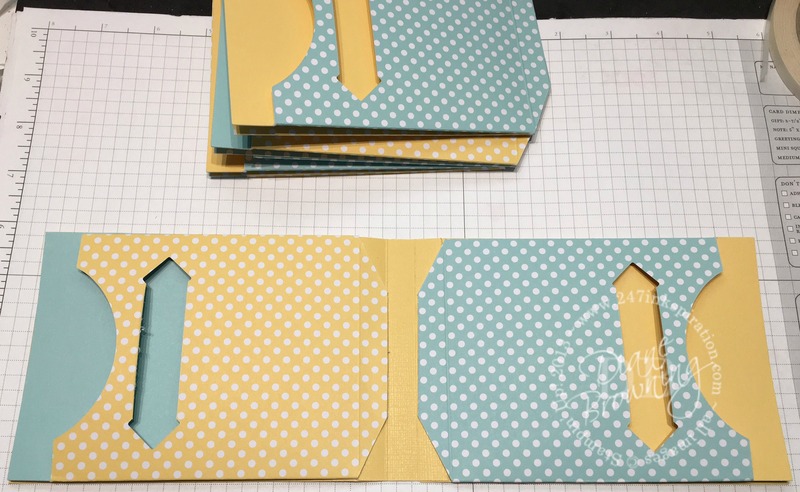 Your book will be about .25″ thick, so you’ll want to score the card stock .5″ in from each side. My cover pieces overlap the spine piece by .5″. Once you have all your pockets taped together, close the book. Then punch holes in the spine where the bottom flaps meet. Using Baker’s Twine, fasten the spine. My knots are all on the back side of the book to keep the front looking neat. I did end up scoring my front cover so it’s easier to open. The bunny is to the right of the score line so I wouldn’t have a fold going through his face. Now that the book is assembled, it’s ready for decoration. I started to put the title on the cover, but “Easter” just wouldn’t fit with the bunny. So my title page is on the inside of the book. I included the year as well so we’ll know when these pictures were taken. For each of the cards that fit in the pockets, I stamped the title on the card so that it would show through the cut-out. 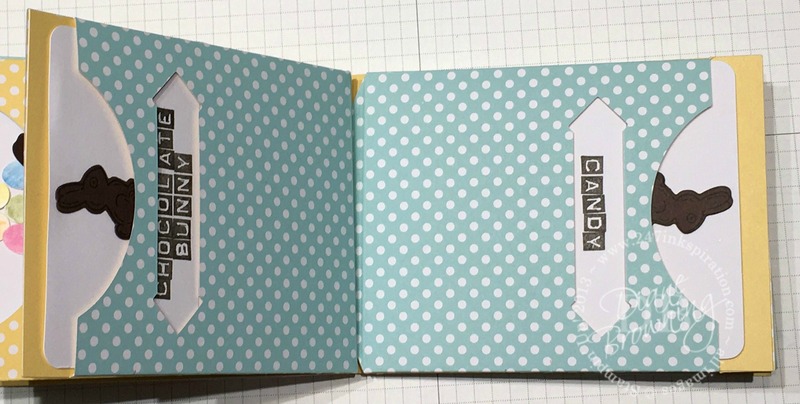 On the back side of each card, I adhered polka dot pattern paper and then the picture to coordinate with the title on the front of the card. 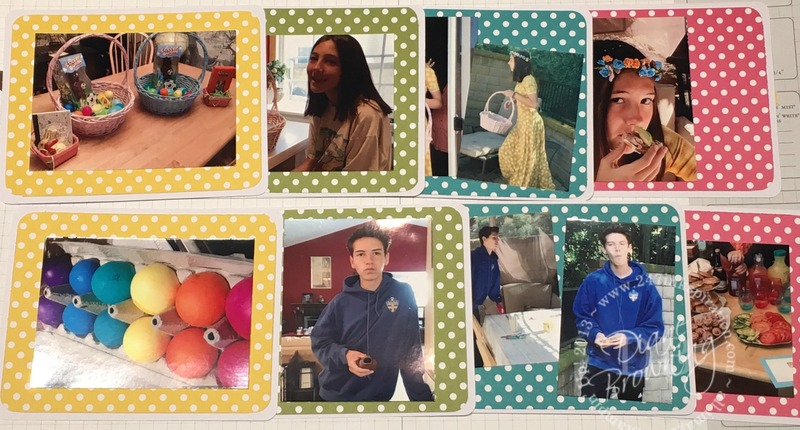 For example, “eggs” has a picture of our colored eggs from 2016; and “baskets” has a picture of the Easter baskets before the kids tore into them. My original idea was to add the decorations to the outside of the pockets. But, they just got lost in all the polka dots. Instead I added them to the top of each of the cards and it looks so much better. The pages still look neat and clean, but you also get the decorations too. 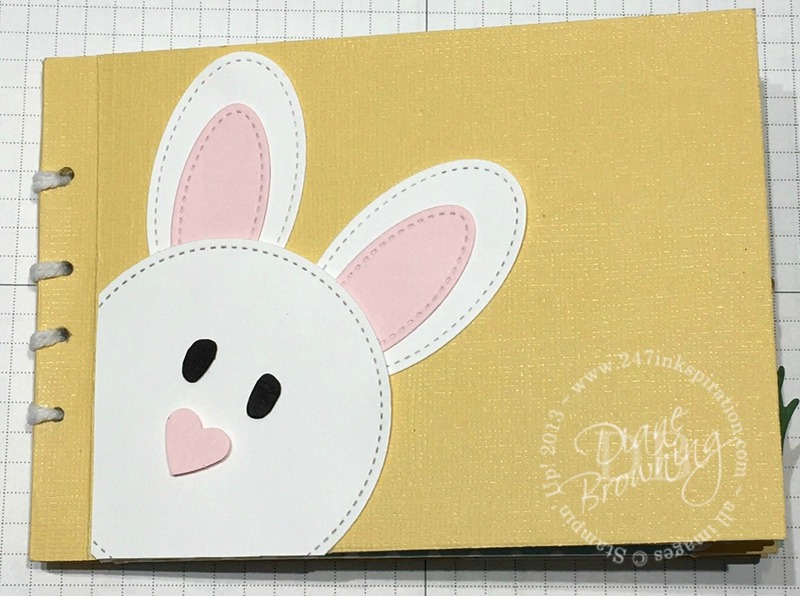 Each of the pocket cards is themed with something relating to Easter. If you have lots of pictures you want to include, you can use the back sides of the pockets to include more pictures. I went with “less is more” for this album and just printed a few pictures from this day, so I only needed room for a couple pictures of each of the different themes. My pictures are all 2×3” and some are trimmed slightly smaller to fit the space. Can’t forget to include a picture of my loyal assistant Frannie. And one last bunny for the back cover. Here is what all the different pocket cards look like. I will do my journaling here on the front side with the lines. And this gives you an idea of what the back sides of the cards look like. There’s eight cards total and most have just one picture on them. 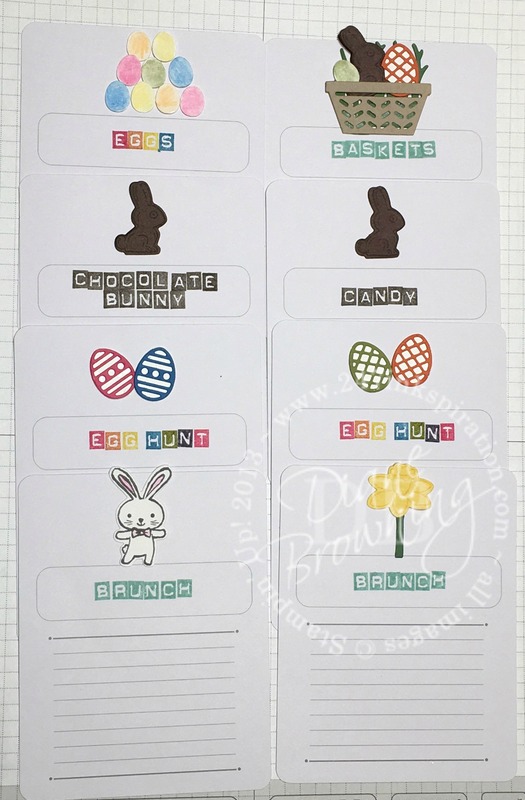 From right to left, the cards are eggs/basket, chocolate bunny/candy, egg hunt, and brunch. We actually took quite a few pictures on Easter. For scrapbooking purposes, I just wanted a sampling of the photos – not every single one we took. I was very selective in what I printed. It’s not too late to place one more order so you can get a set of the Pretty Pocket cards too. For every $50 purchase (pre-tax and shipping), you can pick one free Sale-abration item. 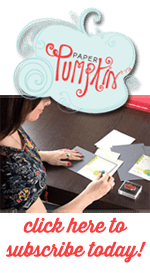 And don’t forget that today is the last day to get the two extra stamp sets for FREE if you sign up to be a demonstrator. This is approximately $229 worth of products for only $99. That’s more than half off! You can build a business or just be your own best customer, the choice is up to you. Let’s talk if you love a good deal.